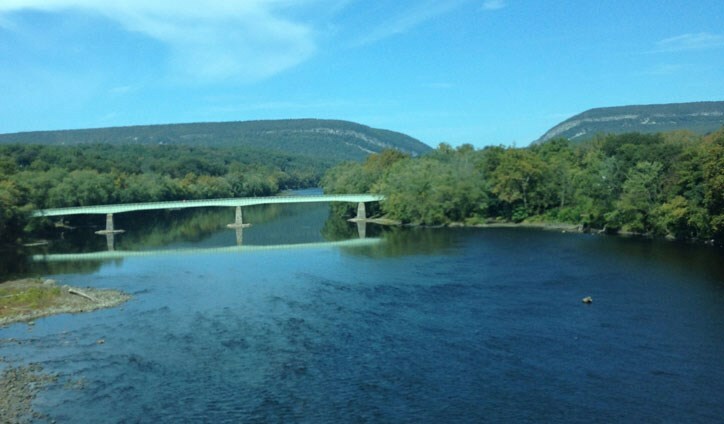 The Pocono Mountains, which is often referred to as “The Poconos,” got its name from the Munsee word that means “Creek between Two Hills.” Today, this beautiful, scenic region is continuing to grow into one of the most popular travel destinations of the Northeast and Mid-Atlantic. With wooded hills, stunning valleys, and ample opportunity for outdoor adventures, tourists are starting to take notice of all that The Poconos has to offer. This increase in tourism is more than just a vague hope—it was seen in black and white in the 2017-2018 annual report released by the Pocono Mountains Visitors Bureau that outlined the economic trends of the region. In fact, the bureau made $10.1 million in revenue in 2018—which is up from $9.1 million the previous year. There are four counties in the Pocono tourism region, and together they hosted around 26.6 million guests over the course of last year. According to Chris Barrett, executive director of the local Visitors Bureau, this is due to the unique combination of attractions that The Poconos offers—including outdoor activities, quaint and friendly small towns, and a four-season climate that offers opportunities for family fun and adventure throughout the year. The Key to Economic Growth in The Poconos: Reaching Out to the Public! The increase in tourism and visitors to the Pocono Mountains didn’t come from nowhere. The uptick in revenue that came from tourism is the result of a concentrated effort of local residents and organizations to showcase everything that makes the region great. By launching its own TV channel on the Blue Ridge cable network, the Pocono Mountains Visitors Bureau allows visitors to tune in to watch interviews with employees of Pocono-area attractions, weather forecasts, and information on the top things to do in the area. In an effort to make the general region of The Poconos a cleaner, more attractive place to visit, a private company was hired by the bureau to handle Pick Up the Poconos—an anti-litter campaign that focused on local highways. What a great idea! The Poconos Mountains Magazine is a new program that has also made an impact on getting the word out to future tourists. Featured on local and regional stations during evening newscasts, this program delves into the attractions, destinations, and small-town culture that viewers can find when they visit the area. When you combine these new initiations with the bureau’s other efforts to increase brand awareness over the last several years, you can expect to see the region continuing to improve, evolve, and become a top destination for year-round tourism. Tourists aren’t the only people that are starting to take notice of The Poconos! Over the last several years, many communities in the region have seen an increase in population, and O’Brien’s Moving & Storage has been at the forefront of handling moves in and out of the area. With decades of industry experience, our expert Poconos movers know what it takes to plan and execute a successful relocation to or from The Poconos. Whether you are considering upgrading to a bigger home in the Pocono Mountains or you visited the area and just can’t stand the thought of leaving, O’Brien’s Moving offers services that include packing, crating, storage, and the ability to handle any size local, long distance, or international move. As the top choice for a Pocono Mountains mover, we’re here to help you enjoy everything that region offers from the comfort of your new home, and we invite you to call us today to learn more about our moving services! You can also fill out our online form now to request your free quote and in-home consultation.